Sought after Baldwin Park lifestyle... A pedestrian-friendly neighborhood with Blue Jacket Park and so many more amenities within walking distance. Your own downtown Village Center with shops and restaurants, community pool, fitness centers, tennis and basketball courts... Easy access to Downtown Orlando and Park Ave in Winter Park. 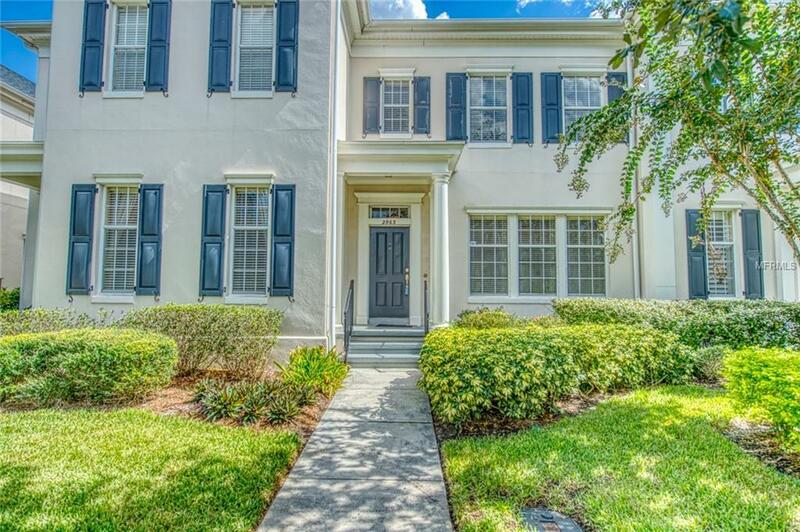 This low-maintenance 3 bedroom, 2.5 bath townhouse is perfect for an owner (sparkling kitchen and bathrooms, hardwood floors, high ceilings, backyard with limitless potential, highly-rated Winter Park school system) or as an investment opportunity (safe, quiet neighborhood centrally located between downtown, Rollins, UCF, Full Sail, and so much more).This property must be seen to be believed. Don't let it slip away. Baldwin Park: all about LOCATION, LOCATION, LOCATION!